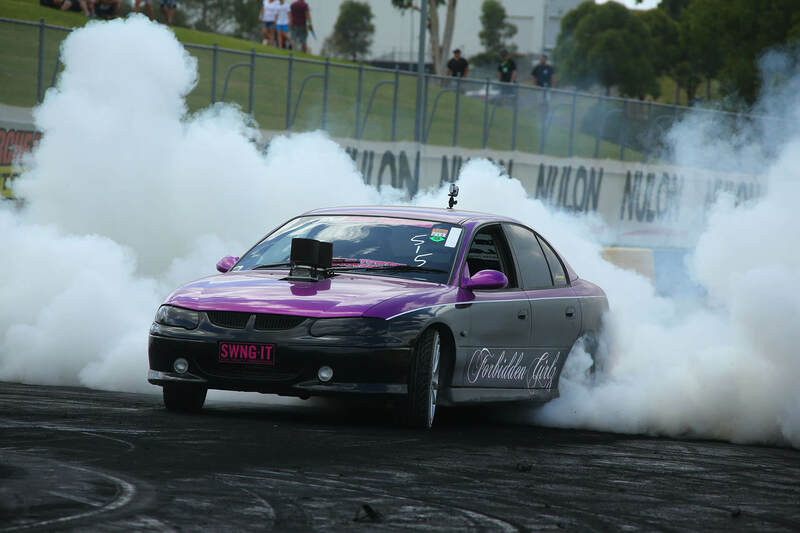 Powercruise offers car enthusiasts a place to drive your tough street, race, drift or show car, in a safe and controlled environment while allowing you to do all the things your not allowed to do on the streets or anywhere else for that matter these days. 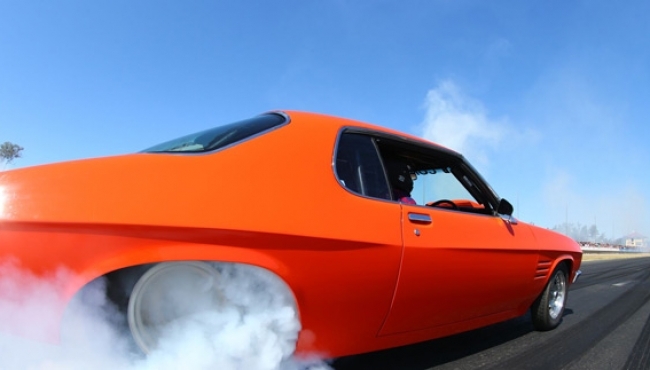 This page is to answer any questions you have about being an entrant at Powercruise. You can also watch the compulsory Driver Briefing DVD on u-tube so you can see what is and isn’t allowed to happen on the track in the cruising sessions and events at Powercruise before you submit your entry. Entry forms must be completed in full with payment (Bank deposit/money order/cheque) enclosed and emailed or info@powercruise.com OR mailed to PO Box 471, Paradise Point Qld 4216. We recommend to post your entry by express mail for speedy delivery & it can also be tracked. If mailing right before a cut off, ensure you make sure we receive it prior to the cut off date. Entry forms must be completed in full with payment in order to submit the entry form. Payment is via Credit or Debit Card only online, MasterCard & Visa only please. Processing is instant so please double check your card is good to go before submitting your entry form. Once you submit a successful entry form online you will immediately be emailed a tax invoice with your Entrant Confirmation Letter attached. If you experience issues with entering via our online entry form please contact us ASAP or consider using the downloadable “Print & Post” entry form. Our Online forms are compatible with most programs and devices. 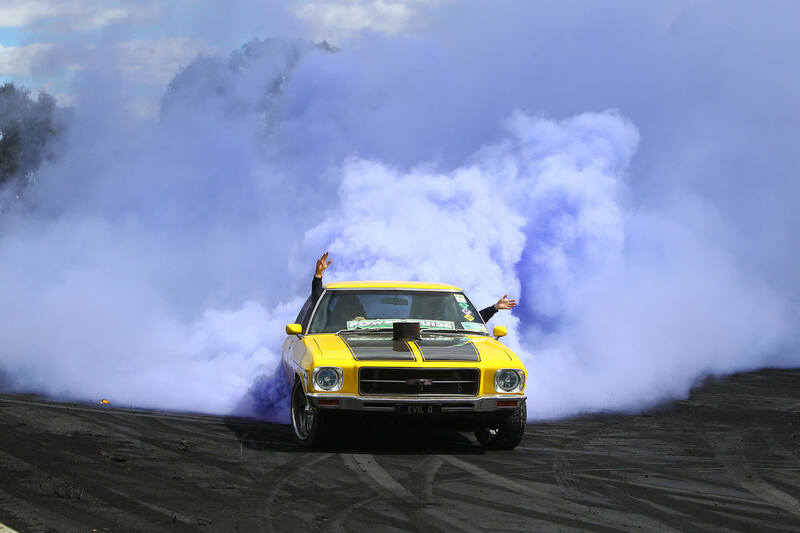 This Weekend Info COMING SOON For anyone interested in entering on the day, please go to our accreditation office which will be located at Willowbank Raceway (The Drag Strip) on Thursday & Friday, and at Gate 2 of Queensland Raceway on Saturday & Sunday. See the Event Program for office Hours. Entry Fee on the day is $250, you will need to bring yourself, your valid drivers licence, your car and cash to pay with you. If you want to enter as a ViP Entrant, please call prior to arrival for directions. 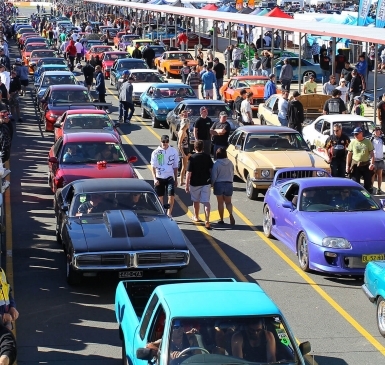 Please download the Powercruise Entry Form for Entrant information, Terms & Conditions of Entry and Prices. All Entrants should also download their copy of the Event Guide, available HERE. 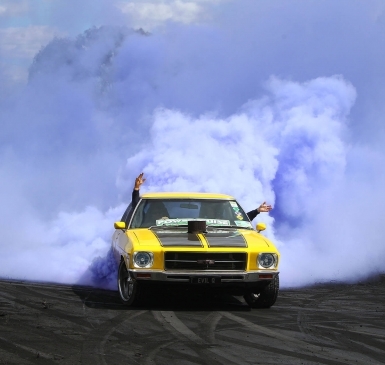 This has everything that you need to know as an entrant at Powercruise! 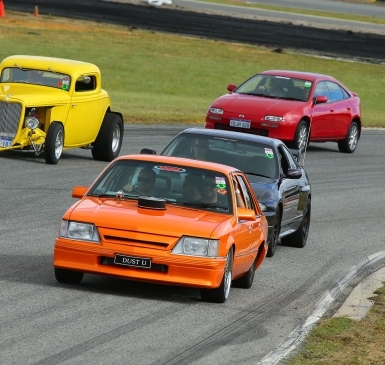 If you want to drive your car at Powercruise then you need to be an Entrant! Powercruise offers discounted Entry Fees with cut off dates to make it more affordable for everyone. 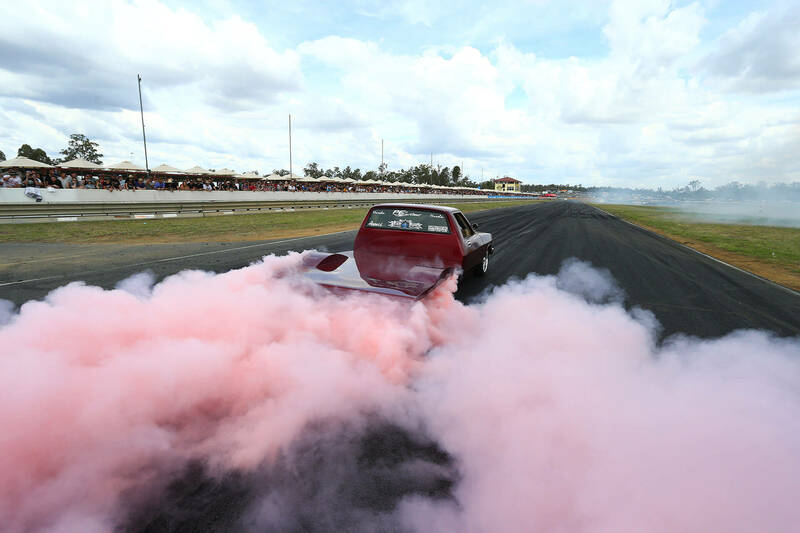 The Entrant fee covers 1 Driver and/or 1 car to participate in all the standard track activities for all days of the event, so that means you can go in the cruise sessions, drifting, Powerkids, off street racing, burnout competition, show & shine – all of it! Get familiar with the prices & cut off dates below, and you can enter anytime from when entries open through to the event itself. YES you can even just roll up and enter on the day at the event! If you wish to have multiple drivers for the one car each driver will need to submit an entry form and pay the entry fee. If you wish to have multiple drivers for the one car, each drive will need to submit an entry form and pay the entrant fee. Alternatively, once you are an entered driver you can drive any other entered car at Powercruise (with the owners permission of course). Once you are entered, your entry is not transferable. If you pre paid for any extra passes or T-shirts on your entry form these will be available for you to pick up at the event, we do not mail these to you. All items will also be available for purchase at the event, so you don’t have to pre-order shirts or tickets. Powercruise is generally for registered cars only however in the interest of all things tough, we do accept unregistered cars too. If your car is supercharged or has a roll cage or any other out of this world modifications that wouldn’t allow it to be run on the roads, then yes this qualifies. If you have an awesome looking street machine that can be registered but isn’t due to affordability or time constraints, then yes this also qualifies. 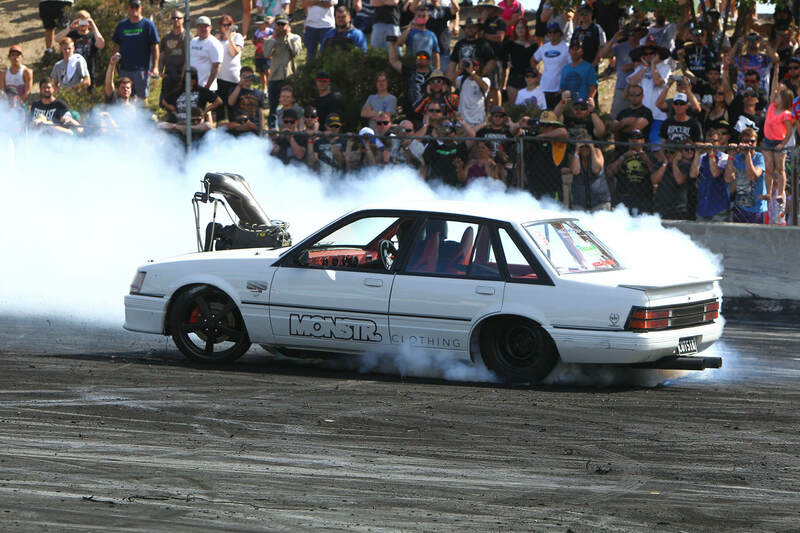 If you have a backyard thrasher with a v8 in it with exhausts exiting through the bonnet and no interior, then this example does not qualify for unregistered entry into Powercruise. So you can see we look at all situations on their own merit so if you think your car qualifies for unregistered entry into Powercruise, please e-mail us your details, the reasoning behind why the car is unregistered and make sure you send at least 2 pictures, one of the whole outside of the car and an interior picture please. Remember – we are not mind readers!! So please only use GOOD CURRENT COLOUR PHOTOS of your car! We can only make a decision on what we see in the pictures so if you send us old crappy pictures you just might get declined! Please ensure you send this info before you send your entry form. All enquiries will receive a response and if your application has been accepted, we will send you a confirmation email that you will need to attach to your entry form when you send it. Cars entered into Powercruise must be in a good presentable standard, Powercruise is a car show after all, this means cars need to be complete inside and out (includes bonnets, front & rear bumper bars and presentable interior), and be fully painted (no undercoat) and generally well presented (no mismatched panels). This means cars need to be complete inside and out (includes bonnets, front & rear bumper bars and presentable interior), and be fully painted (no undercoat). Any cars that don’t meet these standards may either be declined, or declined from cruising and limited to the competitive events only. Acceptance is at the promoters discretion, if you are unsure if your car meets the standards please scroll up and submit your car images via the link in the Unreg Cars Section. 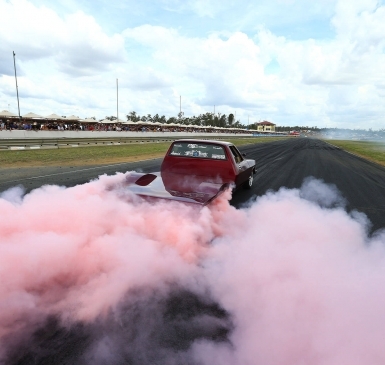 All Entrant vehicles must go through a Safety Inspection before being given access to the racetrack. The Safety Inspection will take place in the lanes in front of the Accreditation Office. Once the car has been passed, you will receive a SAFETY INSPECTION PASSED sticker which will be added to your official Entrant sticker. This means your car now has access to participate in the Powercruise track activities. Seatbelts must be fitted and in good working order. A seatbelt is compulsory for all drivers & passengers going out on to the track. NO EXCEPTIONS. If your car didn’t come with seat belts and you haven’t had any fitted, it won’t be allowed on track. No body damage or structural rust. All Entrants/Drivers/Vehicles are accepted at the discretion of the promoter. There must be no loose objects in the vehicle or boot space. If your car has a roll cage and you wish to take 3 passengers in the back, all 3 back seat passengers must be fitted with a Lap Sash seatbelt – that is, a seatbelt that secures you across your waist and from across your shoulder. If your car has a roll cage and only the 2 seats on the side of the car are fitted with Lap Sash seatbelts, then you’re OK to cruise with passengers in those seats only . If your car has a roll cage and only the middle seat is fitted with Lap Sash seatbelts, then you’re OK to cruise with a passenger in that seat only. If your car has a roll cage and your seats in the rear have LAP Belts only, then no one is permitted in the rear of the car. 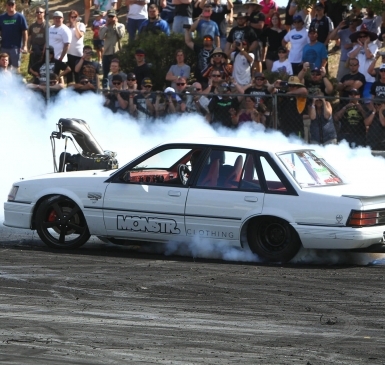 Competition Events are: Powerskids, Drifting, Off Street Racing & Burnouts. 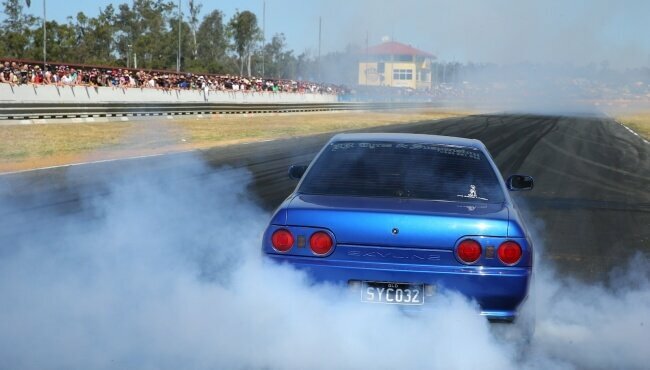 The Off-Street Racing event requires that you have a tread pattern on your tyres. 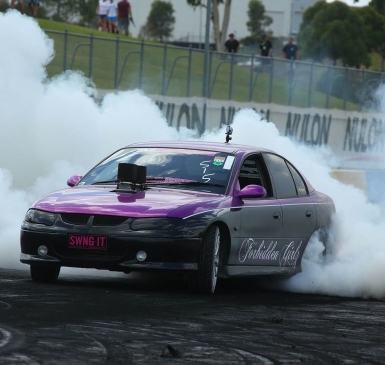 NEW RULES relating to roll cages in cars for cruising at Powercruise. If your car does NOT have a roll cage, then this does not apply to your car. 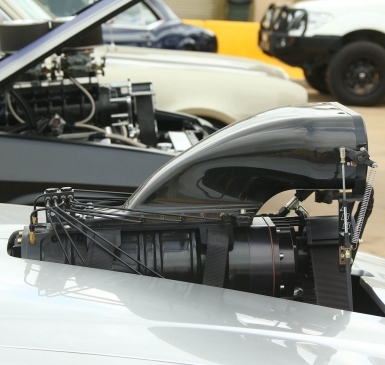 Any car fitted with a roll cage no matter if it’s CAMS, ANDRA or any other approved method must have roll cage padding on all metal surfaces that are above the dash line of the car; in other words, wherever a person’s head might impact in the event of an accident will require roll cage padding fitted. Soft padding MUST be used and must be about 10mm thick and secured to the metal bars. Drag racing approved SFI padding is NOT permitted as it is designed for a helmet to hit it. Please also take note of the drawing below. If your vehicle is fitted with a cage that extends through the rear passenger area (as shown by the red lines) you are not allowed any passengers in the rear of your vehicle whether they have the required seat belts or not. If your cage follows the roof line of your vehicle please see the rules regarding seat belt requirements below. NEW RULES on seatbelts in cars fitted with roll cages now apply. The main point here is if you have a cage, then you’re going to have a taxi bar and/or cross over the top bar fitted. We cannot have anyone in the back seat of a vehicle with a roll cage that does not comply with the above seat belt regulations as, in the event of an accident, the rear seat passenger might hit their head on the taxi bar if they only have a LAP BELT on, so anyone in the back of a car fitted with a roll cage must always have a full Lap Sash seat belt fitted or they will not be permitted to go out in the cruise session. As it says on the entry form we require a photo of all cars entering into each Powercruise event, this applies to both Registered & Unregistered Cars. You can either print out your photos and mail them with your entry form, or you can fill out your details in the form below, upload your pictures and submit them to us. Using this online form is our preferred method of sending us your car pictures. If you have problems submitting your pictures here and it doesn’t work, you can email the pictures to us at info@powercruise.com, just make sure you have all of the info on your email that we request above. Please be mindful of the size of the images you send us. 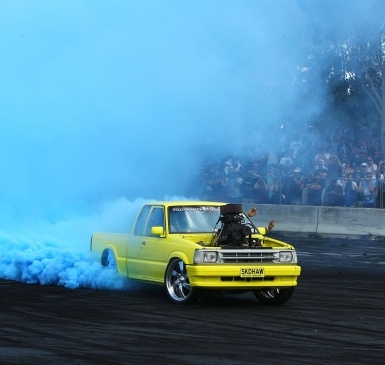 Camping is available at all Powercruise events around Australia. We supply hot showers that are cleaned as often as required which is pretty often considering the large numbers of campers at our events. There are also ample ladies and mens toilets spread around the venue. This includes both demountable building type toilets as well as portable individual toilets for more urgent matters!!. Camping is available for both entrants and spectators and can be paid at the gate on your arrival or prepaid on entry forms if required. The Camping fee for entrants is additional to any advertised entrants fees. Spectators wishing to camp will need to purchase the 4 Day Season + Camping pass, this is the only pass that permits spectators to camp wheter you are staying for only one or all of the nights. You can purchase Season + Camping passes from our website or at the gate on the day. Powercruise does not book camp sites, we don’t hold sites for anyone. Camping is a first in best dressed deal. Check the venue maps for the allocated camping areas please. Some areas are not permitted to have cars in them and some are so please make sure you read the map at the bottom of this page for all the info. No camping on Sunday night. The event guide is an entrants best friend. It will answer all those questions about where to go and what to do. Have a read, and any further questions, contact us. There is a huge range of trophy and prizes up for grab at every Powercruise event thanks to our valued sponsors. All prize money is paid by cheque. If you are not present at trophy presentation we will not give your trophy or prize money to a friend. 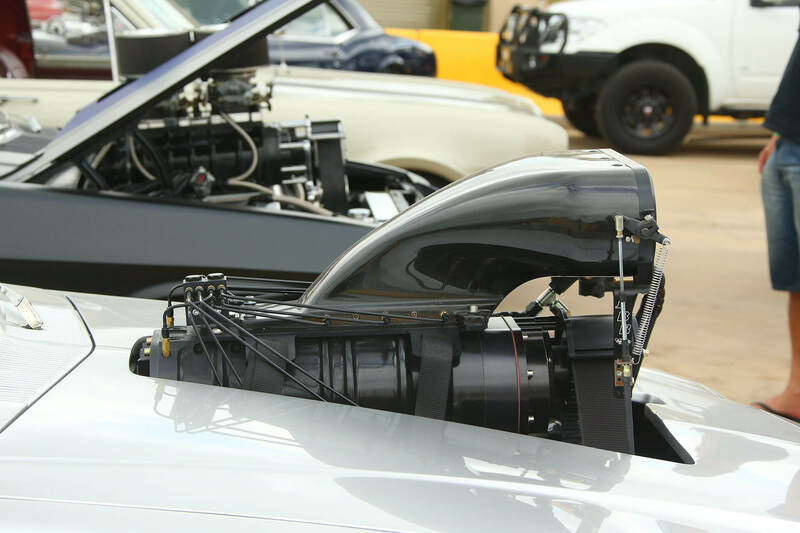 when youi arrive at Powercruise you will go to the dedicated VIP accreditation for speedy processing and a personal scrutineering, providing a fast, efficient and personal service. You’ll then be directed to the exclusive ViP zone within the pits and allowed to unpack and unload at your own pace, in peace. 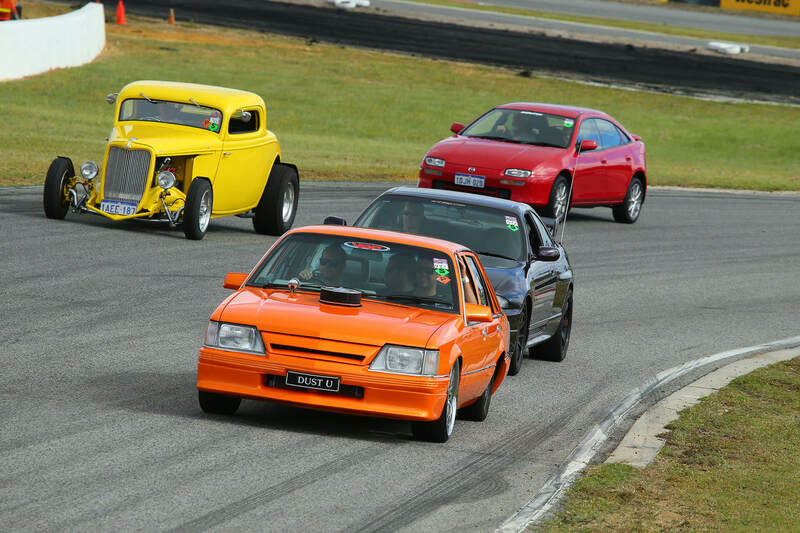 ViP Entry is for the discerning enthusiast who wants to make the most of their weekend with the Powercruise crew. No other entry ensures you as much track time as a ViP Entrant sticker, with a dedicated ViP entrance to the cruising sessions ahead of all other queues. 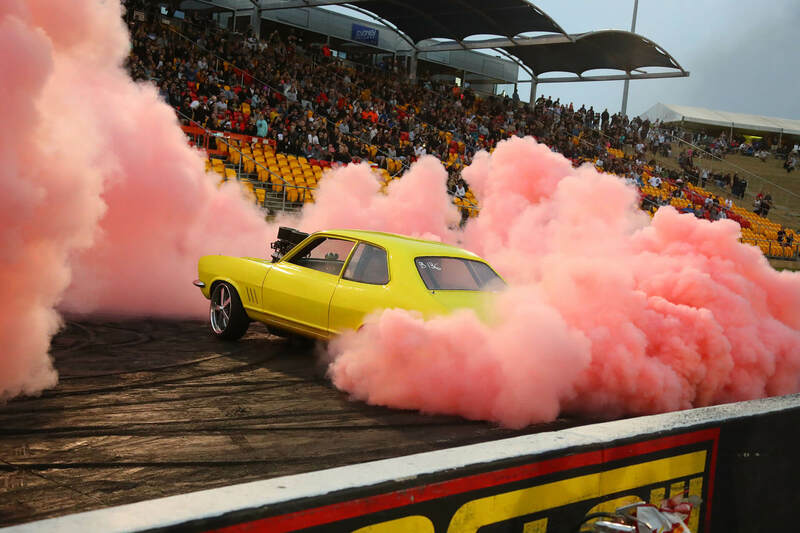 As well as coming and going as you please, you’ll also get front-of-the-line access to all the competition events including the burnouts, off-street racing, powerskids and drifting. The ViP Experience bundles all your expenses in to one easy to manage payment. It covers yours and your vehicle’s entry costs, a buddy pass and two camping passes so that after a long day behind the wheel you can bunker down and enjoy the Powercruise night life. 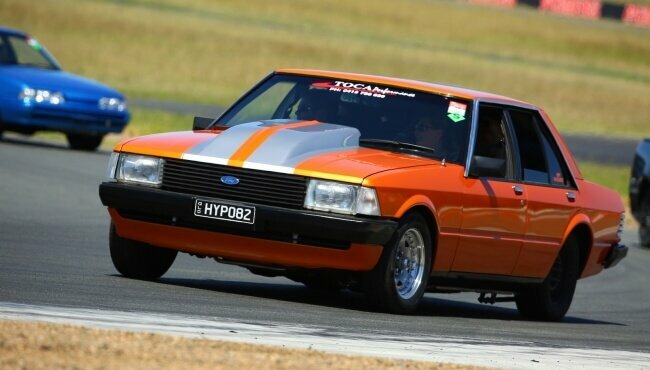 With the rise in popularity of garages and carports the ViP Experience is your chance to still get maximum track time at Powercruise, but it’s far better value than a mere second-best option. This year we are also offering the option of a VIP Entry package with an outdoor pit area if the small marquee spot doesn’t suit your needs, check out the form below with both options so you can find an option that works best for you! Powercruise Premium garage and carport hire is now available anytime throughout the year. We intend on selling garages and carports for all Powercruise events well before the event comes up and for years ahead. So with this in mind we have made a Premium Garage / Carport Application Form so that everyone has the same equal chance of grabbing a garage or carport for their preferred event. In the near future we hope not to be adding the garage or carport hire to the entry forms however if all garages aren’t sold before the event we will have them for sale on the entry form. Please call us on 0407 172 413 to confirm availability of garages & carports before sending your form and payment to us. When booking your garage, we recommend that you complete and submit your own form and make payment yourself direct to Powercruise. We cannot be held responsible in the event of disputes, errors or any problems if you have someone else submit the form and payment on your behalf. If you wish to have your garage next to someone in particular – just note it on your application and we’ll do our best to make it happen- You do not have to pay together to be next to each other. For the garages that have not been sold before the event, they will be available on the entry form on a first in first served basis so it’s important to be on the mailing list to receive entry forms as soon as they are released to have a chance to grab yourself a garage for the weekend. If you haven’t sent in your entry form within the first 2 days then please don’t request and pay for a garage or carport after this point as they will be completely sold out after the first day or two. You can camp in your garage if you wish. The lights will go out at 12 midnight each night so make sure you have a torch. You will receive your garage with no lock on the door. It’s your responsibility to provide your own lock if you want one. The entrant that buys the garage is liable for any damage done to the garage wether they know about it or not so keep your mates under control and all should be cool. You’re not allowed to store fuel in the garages. You’re not allowed to operate a BBQ of any kind inside the garage but you can operate it and cook outside the front door. All garages are laid out so you will have privacy however the walls are only 2m high so security is your responsibility. Remember we are all here for a good time and any antisocial behaviour will result in removal from the venue. Carport will operate under the same conditions as garages in that they will be available for hire before the event by completing the Premium Garage / Carport Application Form. Any unsold will be on the entry form for sale when the form is released. There are 35 carports available and they will be allocated on a first in first served basis. Each carport fits 1 car and includes 1 Pit Lane Access Stickers which gives you instant, no lining up access to all events on the track. The carports are an open shelter to park your car. They don’t have dividing walls between them, so you will be side by side with other entrants. Carports sell out in the first week of releasing the entry forms. Please don’t request or pay for one after this time. When booking your garage, we recommend that you complete and submit your own form and make payment yourself direct to Powercruise. We cannot be held responsible in the event of disputes, errors or any problems if you have someone else submit the form and payment on your behalf. If you wish to have your garage next to someone in particular – just note it on your application and we’ll do our best to make it happen – you do not need to pay together to be next to each other. Cars break, parts don’t turn up, engine builder moved to Perth, your other girlfriend is now pregnant and unforeseen circumstances do happen believe us, we have heard them all. So what are your options? Change your car details to your other car or daily driver or to a mate’s car so you can still get out on the track for some awesome fun. You can change the entered vehicle but you cannot change the driver on the entry. Got no other car to drive? Then transfer your entry to a spectator pass or passes. For example, you paid $150 entry fee to enter your car, and spectator day passes for that event might be $30 for example, then we will give you day passes to the same or close to value of what you spent with us. So in this case you’d get sent 6 day passes. Or you can exchange to a weekend pass and a day pass. This way you still get to come in and watch and you’re not completely out of pocket. Please contact our office before the event to request this or the entrant can do this in person at the event at the Accreditation office. Please note credit or spectator tickets cannot be transferred to another event. Not able to come at all? Don’t have any friends you want to give or sell your passes to? That is a real bummer. For standard entrants a refund of the entry fee only less a $40 administration fee can be given (VIP is non-refundable sorry). We must receive the withdrawal of your entry from you (not your mum or your mate) in writing, either by email or post before the final cut of date which is advertised on the entry form which is also 2 weeks before each event. No refunds will be given for any reason from 2 weeks prior to the event. There are NO refunds for garages and carports for any reasons however they can be transferred or sold to another entrant. Entries are not transferable to anyone or to other events, so you cannot change the entered driver or transfer your entry to a mate. VIP entrants have a little more flexibility in you are allowed to transfer the whole VIP deal to another driver, you are allowed to sell it or give it away to another driver with a different car. If you don’t have that option, then we will give you credit at that specific event to use however you like whether its 4 entries for your mates and 5 shirts and 2 hats and a P sticker up to the value of what your VIP deal cost you, this credit can only be used at the event you originally entered into. VIP Entrants please also refer to the VIP Package you purchased for options. Either way all the above options mean that we don’t need to keep your money, we are happy to see you getting value for your money in the best options as stated above, and you can always call our office to work out the best way for you to get what you can for the fees paid if your circumstances have changed. Yes we do have a banned list, and if you did the wrong thing at the Powercruise event, either on or off the track you may find yourself on this list. Alternatively your car may be declined if it does not meet the Powercruise requirements or standards, if your car is declined for this reason you will receive a full refund prior to the event or at the time of entering if entering on the day. It is important to provide quality and up to date images of your car when entering online. If you have any questions about requirements please call 0407 172 413. Powercruise event results are usually up within 5 days of the event or sooner if possible. If you have won a prize and didn’t collect it at the event, you may have read above that we will post your prizes out to you in the mail within 14 days. Usually its sooner but it depends on which state we are in at the time. All drivers must be a minimum of 18 years of age and hold a current drivers licence. Learner’s permits are not permitted. Entered vehicles must be road registered, unregistered vehicles at promoter’s discretion by application. 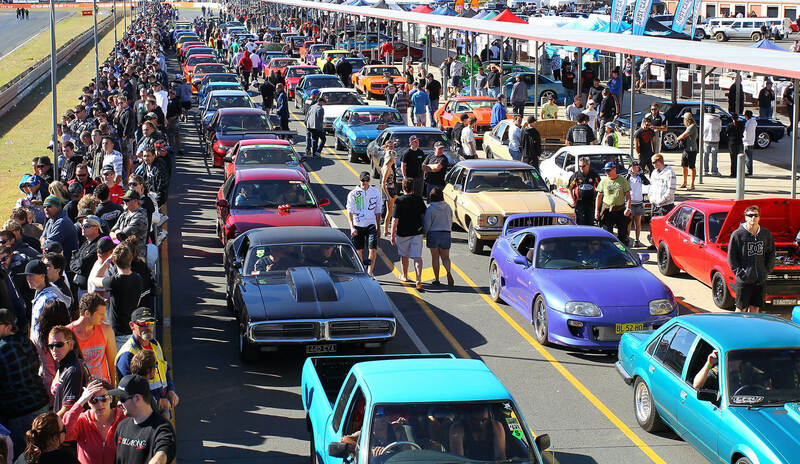 Once an Entry Form and payment are submitted to Powercruise, your entry cannot be transferred to another Entrant/Driver, another event or to credit. Entrants are permitted to change the entered vehicle at accreditation, but once through accreditation and safety check, the car cannot be changed. Entrants are permitted to drive other entered vehicles. Your vehicle, current drivers licence & registration papers must be presented at the Accreditation Office. All vehicles will undergo a safety inspection. It is still the responsibility of the owner of the vehicle to ensure that the vehicle is adequately prepared for the event. This includes but is not limited to steering, brakes, “especially pads and fluid” and brake lights, battery clamps and all other safety equipment fitted including seat belts windows etc all shall be in excellent working order. 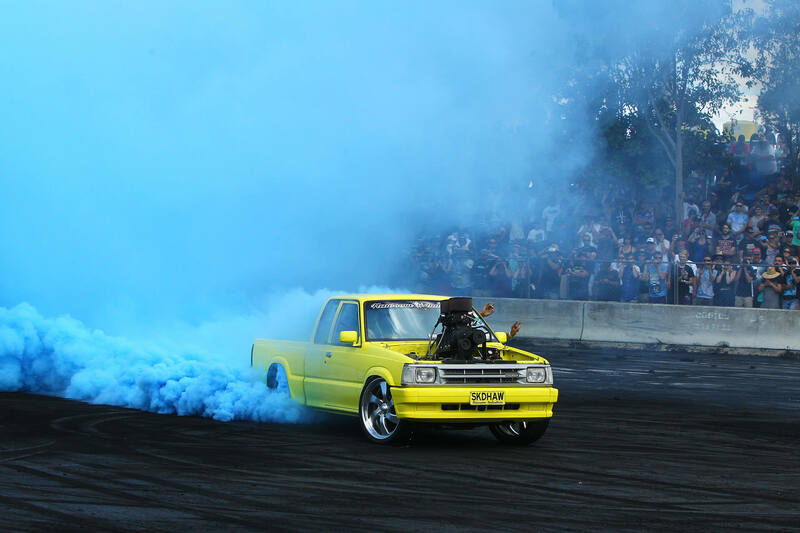 All Entrants also need to be aware that as a requirement of the Queensland Registration Act; any Queensland Registered Vehicle is required to obtain an extension of 3rd party insurance for the duration of the event. For unregistered vehicles entered or failure to obtain the extension for QLD Registered Vehicles will result in the driver being personally responsible for all costs associated with injuries sustained by their passengers in the event of an accident. 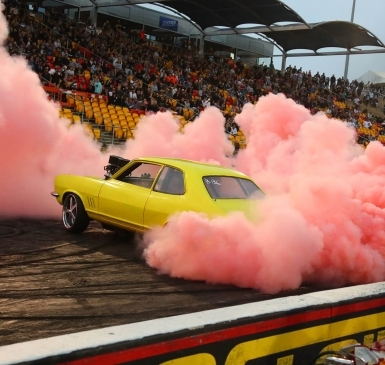 Powercruise is an alcohol free event. The only acceptable blood alcohol reading for entrants at Powercruise is 0.00. Random breath testing will take place throughout the event. Entrants are required to wear enclosed shoes while driving on the track. 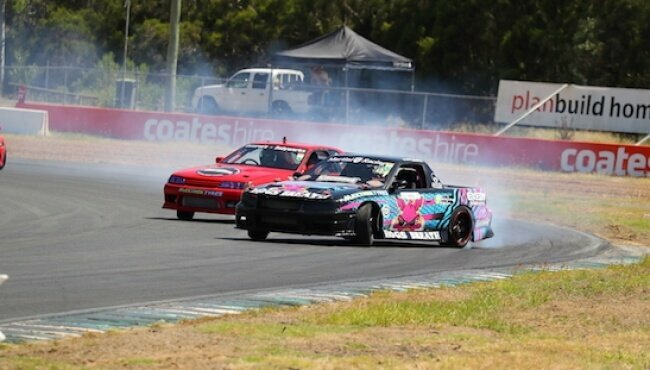 For competition driving events including Off Street Racing, Drifting, Powerskids & Burnouts, all entrants are required to wear helmets, enclosed footwear and non-flammable clothing with full coverage from ankle to wrist to neck. All Entrants/Participants are required to follow all Powercruise Staff and/or Official’s directions promptly and to full compliance. Due to the contract terms between Powercruise Promotions and the venue, the venue will always be open and the Powercruise will always go ahead. The Event will never be cancelled or postponed due to rain or any other reason. The full Standard Entrant fee into Powercruise is $250. Powercruise offers discounted rates with cut off dates so to make it more affordable for everyone. By pre entering you understand that you have paid a discounted fee and therefore understand the following conditions apply. A refund of entry fee less a $40 administration fee will be given if the entry is withdrawn in writing 14 days prior to commencement of the event. ViP Entry, special event, promotional, limited or partial entries are non – refundable. Full price entries are accepted online and on the day at the entrant’s discretion and there will be no refunds due to inclement weather, broken down vehicles or for any other reason. Any pre entrants that do not attend the event for any reason understand that they have willingly forfeited their entry fee and there will be no refund and they are not transferable. All Purchases are to be paid in full upfront and all sales are final and not contingent on any other factors. The entry fee includes entry to the event for 1 driver and 1 vehicle for all events except the Dyno Comp & overnight camping. Camping and the Dyno comp may incur an additional fee. For an Entrant to be eligible to compete in competitions for prize money/prizes they must have paid an entrant fee, any unpaid entrant fees will be deducted from any prize monies won at the full on the day entrant fee. All Entrants/Drivers/Vehicles are accepted at the discretion of the promoter. The promoter has the right to terminate my participation in the event at any stage for whatever reason he and/or she sees fit. Entrants who have had all armbands removed due to their misbehaviour on or off the track must take responsibility for their actions and there will be no exchanges or refunds. 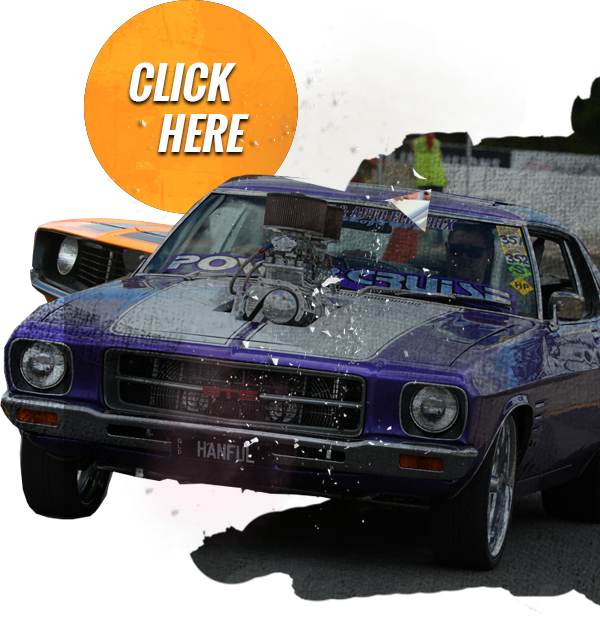 Upon Entering Powercruise your email address will be added to our E-newsletter database, if you do not wish to receive E-newsletters from us please let us know. 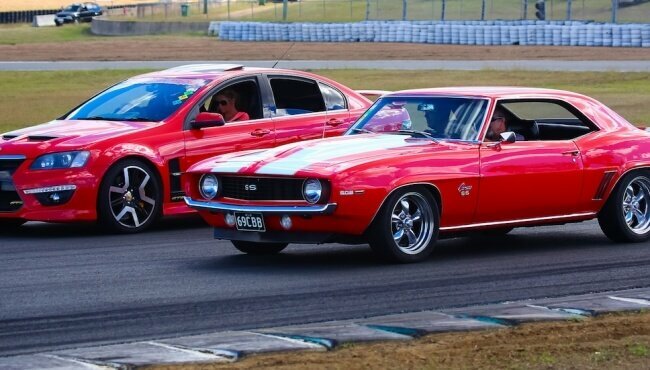 By entering this event you agree that Powercruise may use photographs or video footage taken of yourself or your vehicle during the event for publicity purposes including DVD production, television commercials or for future Powercruise events. If you are another event promoter copying our terms and conditions because you are too lazy to write your own, you are a loser. Powercruise reserves the right to alter, extend, delete or change the event and/or event program which in some circumstances may reduce activities without notice for any reason, including inclement weather, including but not limited to ending scheduled cruise sessions early if there are not enough cars on track or misbehaviour. Any damages caused (wilfully or unwilfully) to any property belonging to anyone including but not limited to, race track walls, track surface, safety barriers, fences & signage in the event of an accident, must be paid for. The vehicle/vehicles in question, and/or any prizes/prize money will be retained as collateral until full payment is made. 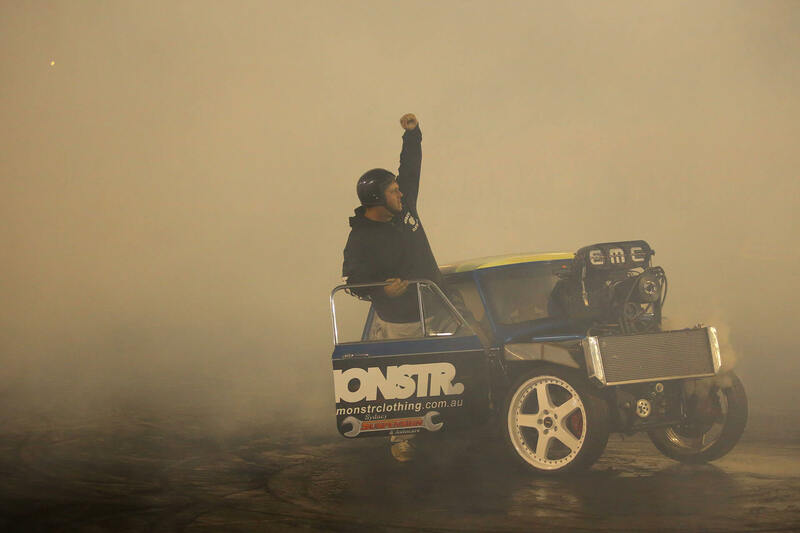 Entrants are responsible for their actions on and off the track at all times. Police may be involved if required. Powercruise Insurers cover personal Injury but not property. Any antisocial or violent behaviour by anyone inside the venue will not be tolerated; this will result in you being evicted from the venue and reported to the police if necessary with no refunds. Any person caught driving/attempting to drive a vehicle on the track without the correct armbands or vehicles stickers will cause the entrant/vehicle owner to lose their driving privileges and all track access stickers will be removed from the vehicle. Entrants are responsible for their own, and their passengers actions/behaviour. Police may be involved if required. If your car breaks down on track, or requires towing for any reason, Powercruise staff/volunteers will tow/recover your car in good faith and will take all care possible when towing or recovering your vehicle, however Powercruise Staff and Volunteers take no responsibility for any damage that may occur during this process, or at any time at Powercruise. 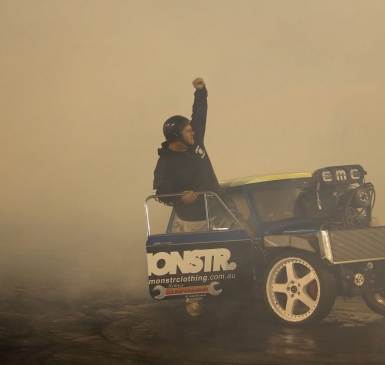 Powercruise Entrants should educate themselves in proper towing procedures. Only approved Powercruise Staff/Volunteers will conduct vehicle tows/recoveries from track, by entering Powercruise you accept the risks involved with towing or recovering your car. Entrants are not permitted to arrange their own tows/recoveries from the circuit enclose. By submitting this entry form, you acknowledge and agree to all Powercruise Terms and Conditions of Entry.